 Maps Made Easy processing is now available to resell and distribute to your business's user base using our new Affiliate and Distributor system. After a pilot program with select users, Maps Made Easy has introduced a system that allows interested users to be designated as "Point Distributors" who can purchase points at bulk prices and give or sell them to other users. Also, there is now the capability for "Affiliate Partners" to track their user's purchases for which they will receive a commission.  These programs are designed for existing drone retail or service provider businesses, primarily in international markets, that would like to stand out in their marketplace by being able to provide something their competitors can't. Becoming an affiliate dealer of Maps Made Processing allows for unique product bundle sales opportunities and the creation of new income streams by properly supporting your users. To become a Point Distributor or Affiliate Partner please email us at mapping@dronesmadeeasy.com to get the ball rolling. We will have a few questions to ask and have you fill out a reseller agreement before starting. Below is a brief preview of how the system is used. Once you have been added you can start distributing points to create your affiliated user list. The additional features are reached from the Points section of your user dashboard. Clicking "Distribute Points" from will take you to the screen where you can take points out of your account and give them to your users. Enter the email address of user's MME account and the number of points you would like to transfer to their account. If there is an error was an error or the user's email address is not in the system the following error will be shown. Once you distribute at least 1 point to a user they will be affiliated with your account. Any purchases made by this user will be eligible for the commission described in the reseller agreement. Purchases made by a reseller's affiliated users earn a commission. Users are affiliated with your account by distributing points to them using the system described above. The terms and conditions of commission payments are described in the reseller agreement. TL;DR - Sell maps. Profit.